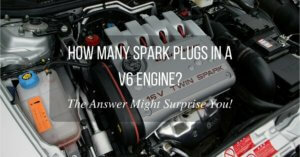 Do you think your car needs a blow off valve? The ultimate answer is: it depends. 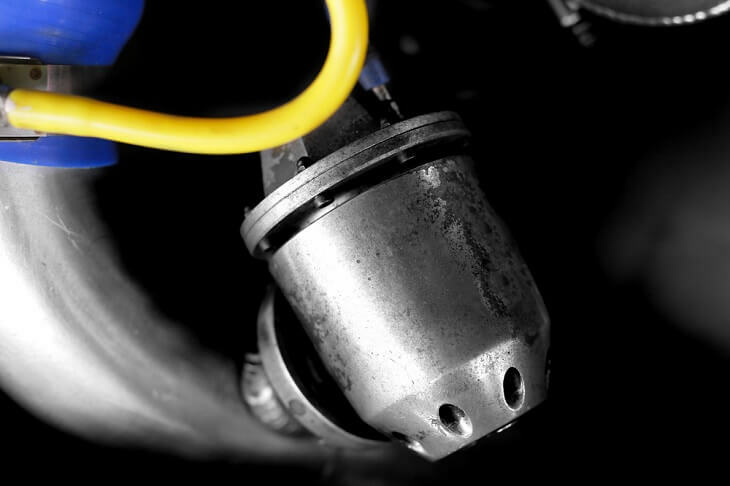 There are a lot of factors that need to be considered before buying a blow off valve for your car. But first, it would be best to discuss the general purpose of the blow off valve. What Is A Blow-Off Valve Or BOV? 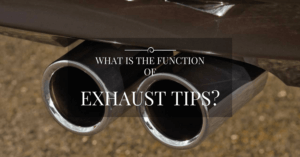 What Is The Difference Between Wastegates And Blow-Off Valves? How Do Blow-Off Valves Work? Can BOVs Improve The Boost Response In My Turbocharged Car? 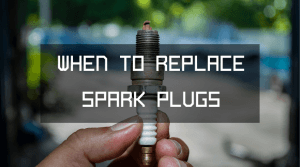 Does My Car Need A Blow-Off Valve? 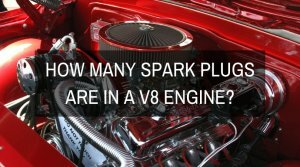 How Do I Choose A Blow-Off Valve For My Car? 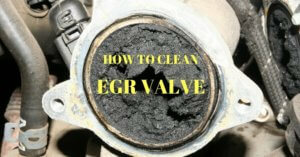 Can I Put A Blow-Off Valve In A Diesel Engine? A blow-off valve is simply a form of pressure release system that you would normally find in turbocharged gasoline engines. Notice the mention of the word ‘gasoline engines’ here, because we get a lot of questions regarding the use of blow-off valves in high-performance turbocharged diesel engines, or those fitted with CRDI or Common-Rail Direct Injection. For the sake of clarity, the answer is NO. It is useless to install a blow-off valve in a diesel engine because diesel engines don’t have a throttle plate. More on this later. 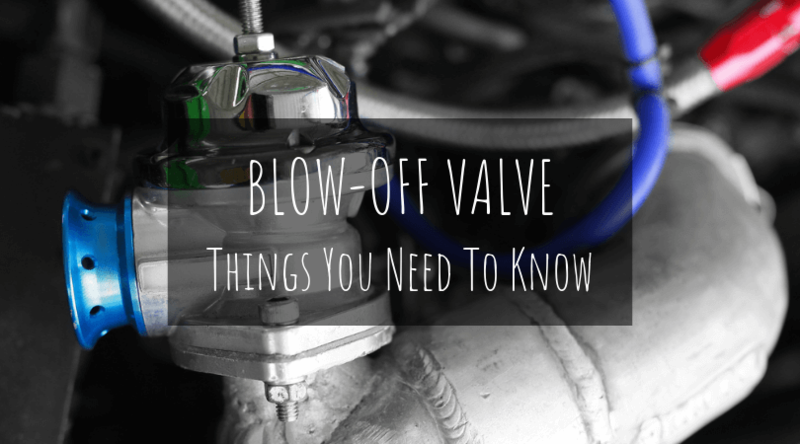 Let’s get back to the basics of the blow-off valve. The blow-off valve is designed to protect the turbo against damage and accelerated wear and tear. This kit will also ensure a smooth-running engine with enhanced reliability. It is not only designed to produce that delicious hissing sound that we all love, although it does make your car sound heavily-tuned and ready to tear down the dragstrip. But the most important role of the blow-off valve is to prevent the occurrence of compressor surge. This is where it gets interesting. When you suddenly lift off the gas pedal, this action will close the throttle plate. When this happens, the boost produced by the turbo has nowhere to go. As far as your ECU is concerned, that rush of boost is already entering the engine. But in reality, the boost must go back inside the spinning turbo. Compressor surge is produced when the boost is sucked back into the compressor outlet. This will interfere with the compressor wheel and produce compressor surge. Compressor surge is a bad thing. When the boost is reverted back into the compressor wheel, it can suddenly slow down or stall the wheel. This puts a ton of stress on the bearings and the wheel shaft. As the compressor wheel slows down, this can create a lot of turbo lag, especially if you decide to suddenly press on the throttle after slowing down or changing gears. The rapid backfire of boost will also wreak havoc on the turbo response, making the car a bit fiddly to drive. 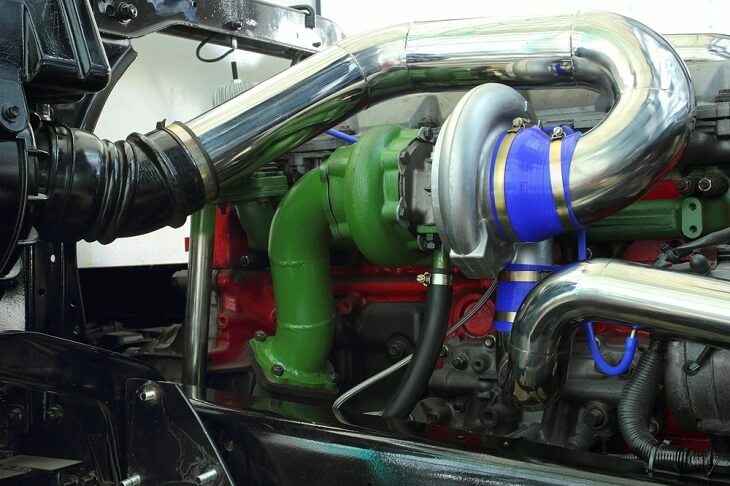 The main difference between a wastegate and a blow-off valve is that the wastegate is designed to vent off excess boost pressure in the exhaust part of the turbo, while the blow-off valve is designed to vent off excess boost pressure in the intake side of the turbocharging system. The wastegate will typically allow excess boost pressure on the exhaust side to divert inside the turbine wheel. If the wastegate is open, this means that that the boost pressure has reached its limit and will openly divert the exhaust boost to bypass the turbine wheel, preventing the turbo from spinning at an unsafe speed. The wastegate is located on the HOT side or exhaust side of the turbo, usually between the exhaust manifold and the turbine wheel. In some set-ups, the wastegate can be found in the exhaust manifold. 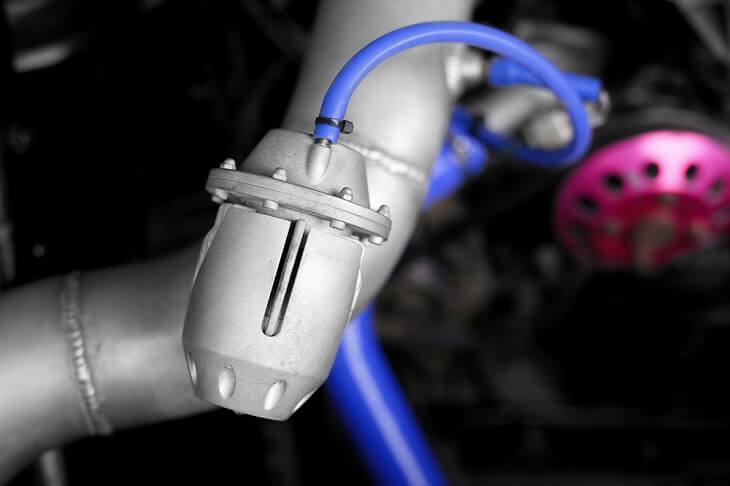 The blow-off valve is typically found in the COLD or pressurized intake side of the turbo system. The blow-off valve will open and vent excess intake boost pressure into the atmosphere when you shift gears. This will help prevent compressor surge. The blow-off valve contains a valve that controls the airflow. 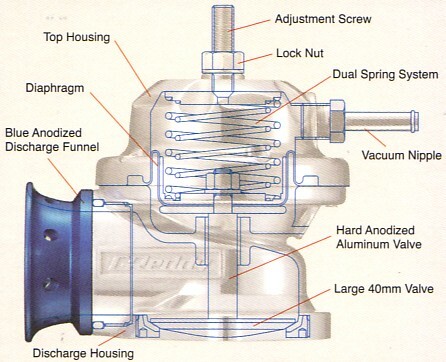 The valve is usually manufactured from brass or stainless steel to resist corrosion. When too much airflow is detected, the valve will open and release pressurized air into the atmosphere. On some systems, the blow-off valve will divert the pressurized air back into the pre-turbo intake pipe when you step off the throttle, such as when changing gears or when the car is approaching a stop light. 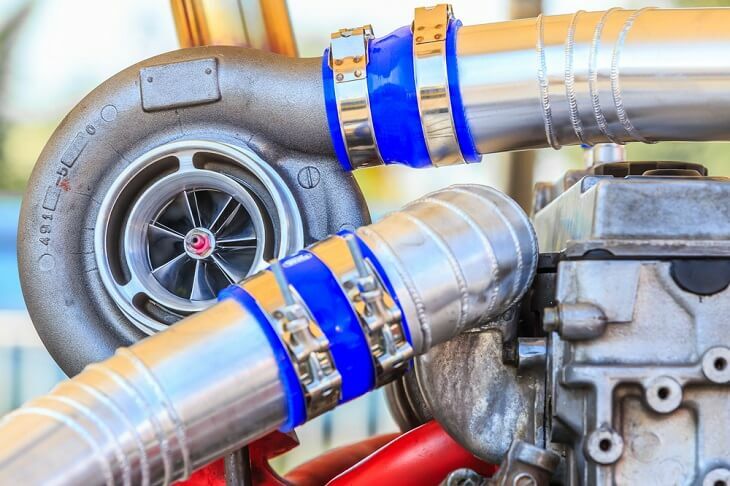 If you have a modified turbocharger with higher boost pressures, then you need to understand that the blow-off valve is an essential part of the entire turbocharging system. This little device will not only give your car a modified tuner sound (yes, the Fast and the Furious sound, if you will) but it will prevent compressor surge, which will save you money in the long run. Without a blow-off valve or BOV, you run the risk of damaging your turbocharger and intake piping, especially if your car is running an older or worn out turbo. Manufacturers will often market blow-off valves as a mod that improves the boost response when you’re changing gears. However, this is not the case. According to Andre Simon of High-Performance Academy, the main reason BOVs exist is to protect the turbocharger from the sudden surge of high volume intake air, which usually occurs when executing a gear shift. 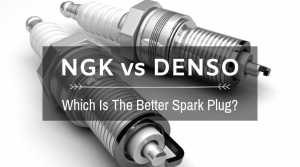 If you have a naturally-aspirated engine, then you don’t need a blow-off valve. Plain and simple. If all you’re after is that trademarked ‘hissing sound’ and you don’t have a turbocharged vehicle, then you better see a doctor real quick. 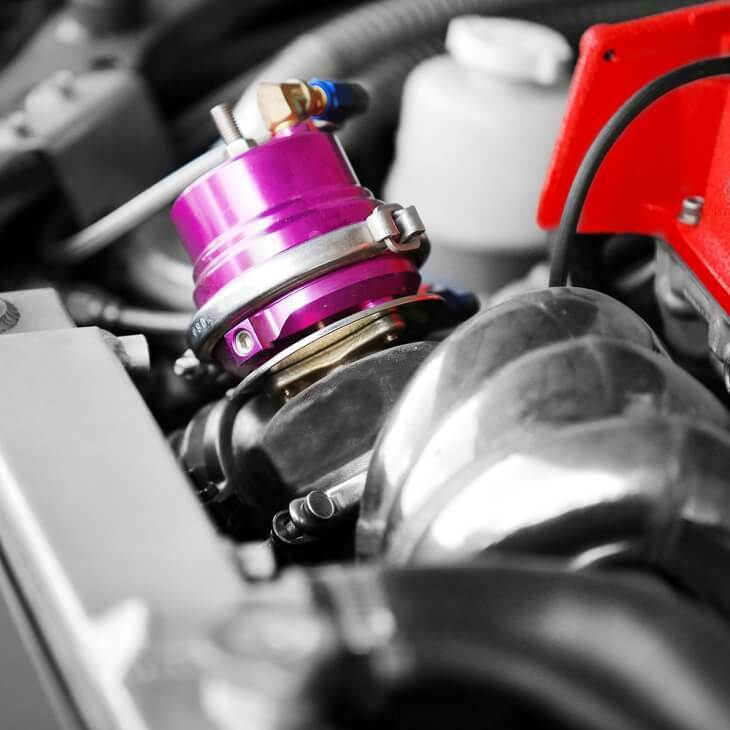 However, if you have a turbocharged gasoline vehicle, then installing the right kind of blow-off valve will keep your engine and turbocharger running smoothly and more efficiently. But here’s the catch. If you have a low or mildly tuned turbo set-up, simply buying and installing a larger BOV will only be a waste of time and money, especially if the stock BOV is able to handle the boost pressure. For example, if you have a Mitsubishi Evo or Subaru WRX STI that produces around 250 to 270 horsepower, then you need a blow-off valve that is designed to handle that much power. But using a small BOV for an engine that churns out 500 or more horsepower (with conversely higher boost pressures) will only result in high-pressure air leaking from the BOV. From a performance perspective, this is not good, especially if the vacuum line is connected to a boost gauge or a fuel pressure regulator. If your engine is running higher boost pressures and an aftermarket CPU with no airflow meter, then it will be relatively easy to install a BOV. There are basically two types of blow-off valves: the atmospheric type and the recirculating type. The atmospheric BOV will vent the air into the atmosphere while producing the ‘whooshing’ or hissing sound. The recirculating BOV (or plumb-back BOV) will release the excess boost pressure in the intake system, right before the turbo inlet. This type of BOV is the silent type and does not produce the trademarked sound. There is a third type of BOV that combines the attributes of an atmospheric and plumb-back BOV. This is usually called the dual-port BOV. In a system such as this, you can choose between using the atmospheric, recirculation, or both functions at once. In choosing a blow-off valve for your vehicle, the most important thing to remember is that you need to a BOV that is designed to handle the boost pressure generated by your turbocharger. If you have a mildly-tuned turbo engine, then a BOV that can handle up to 15 psi of boost is fine. But if you are running a larger T4 or T5, then you need a larger blow-off valve that can handle higher boost pressures. Here’s another helpful tip: the best blow-off valve is the one that is made by a reputable manufacturer. Sure, you can buy a cheaper BOV from a generic manufacturer but you don’t want the BOV to leak when you’re attacking a dead straight section on the racetrack, right? 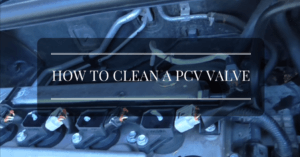 If you pay more for a BOV, then you will get more in terms of performance, reliability, and service life. In a fuel-injected gasoline powered automobile, stepping on the throttle means letting more air inside the combustion chamber. In a diesel-powered car or TDI, stepping on the throttle will alter the fuel delivery. 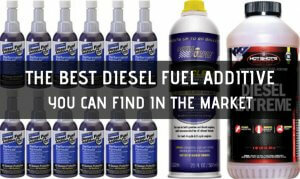 Diesel does not rely on the air-fuel ratio. The air intake is unrestricted in a TDI engine, and they are usually equipped with butterfly valves that will basically render the BOV useless. In essence, YES. 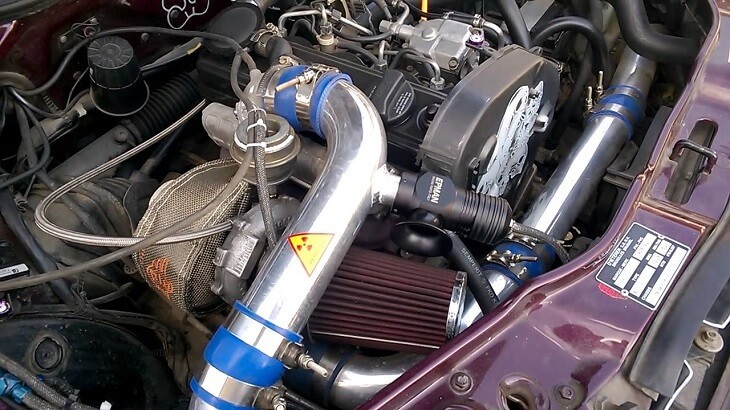 You can install a BOV in a diesel-powered car, truck, or SUV. But you won’t be protecting the turbocharger from surge (because of the butterfly valve) and all you’ll be getting is the hissing sound. 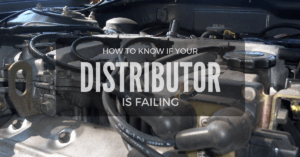 Making matters worse is the type of ridicule that you will receive from people or mechanics who actually know a thing or two about diesel engines. You will only spend too much cash on something that doesn’t improve the overall performance or fuel economy of your TDI. However, if you really insist on installing a BOV in your TDI then you can probably look into the Turbosmart BOV Solution for Turbo Diesel Applications. This kit utilizes an electronically-controlled BOV controller kit that sends pressure signals to the actual BOV unit. 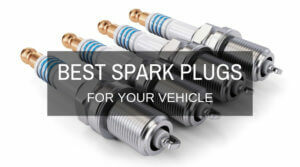 This device is applicable for both petrol and diesel applications. Your car will need an aftermarket or larger BOV if you tuned your vehicle and installed a larger turbocharger with higher boost pressures. But if the boost pressure is at or below 15 psi, then you probably don’t need to replace the stock blow-off valve. But if you have a naturally aspirated engine, then it is quite clear that your car doesn’t need a blow-off valve. The same rule applies to diesel or TDI vehicles.